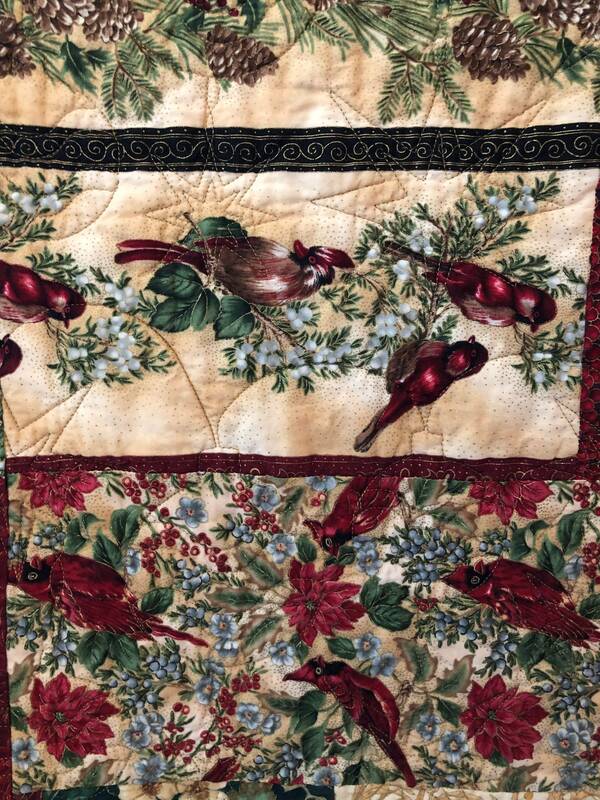 Make this beautiful Christmas quilt part of your heirloom Christmas decor. 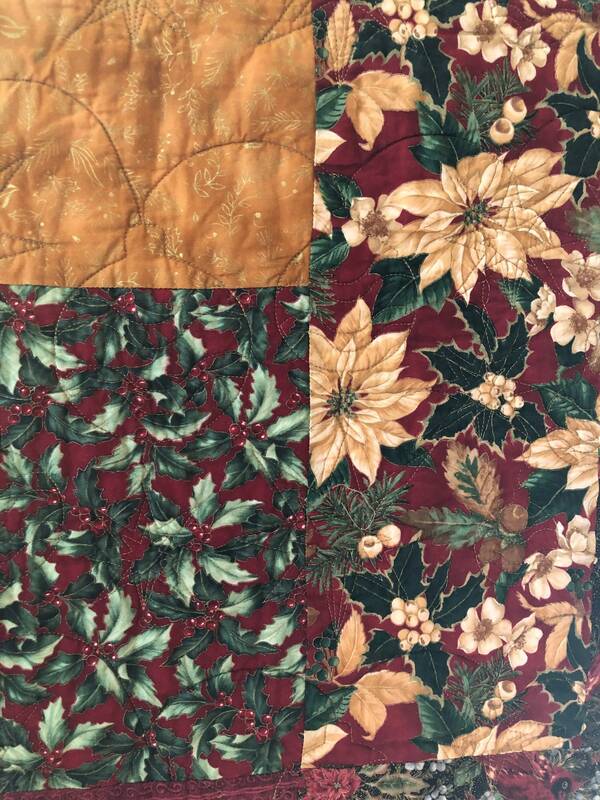 “Christmas Bling” is a traditional Christmas quilt — traditional colors of red and green and traditional motifs of birds, berries, winter flowers and green foliage. 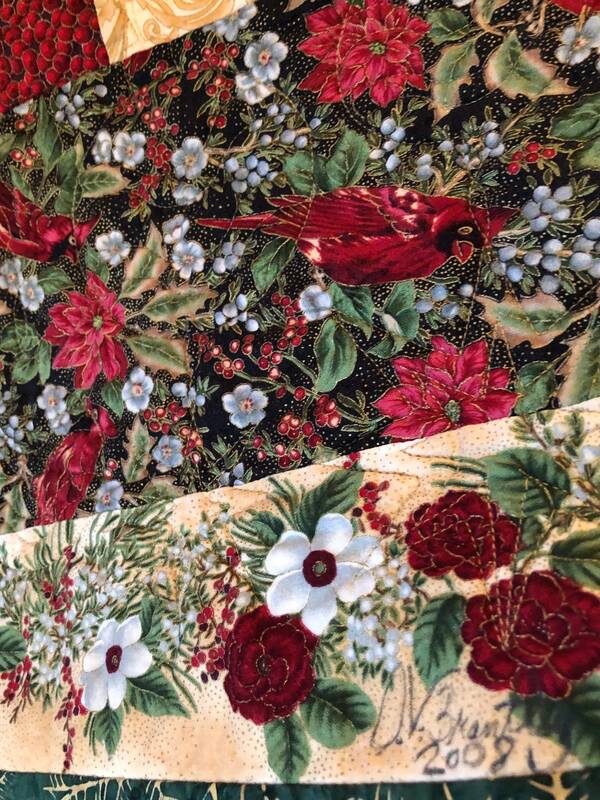 Most of the fabrics by Hoffman have gold metallic running through them. 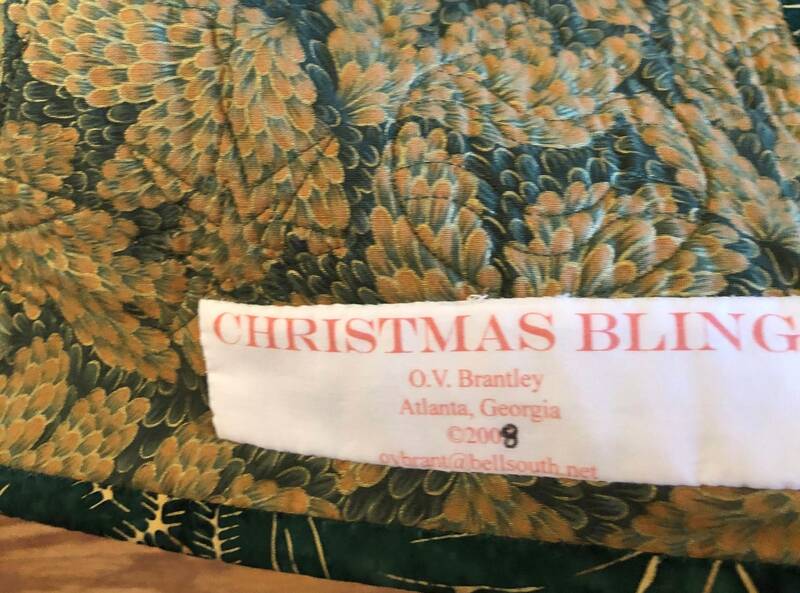 That is where the quilt gets its name. 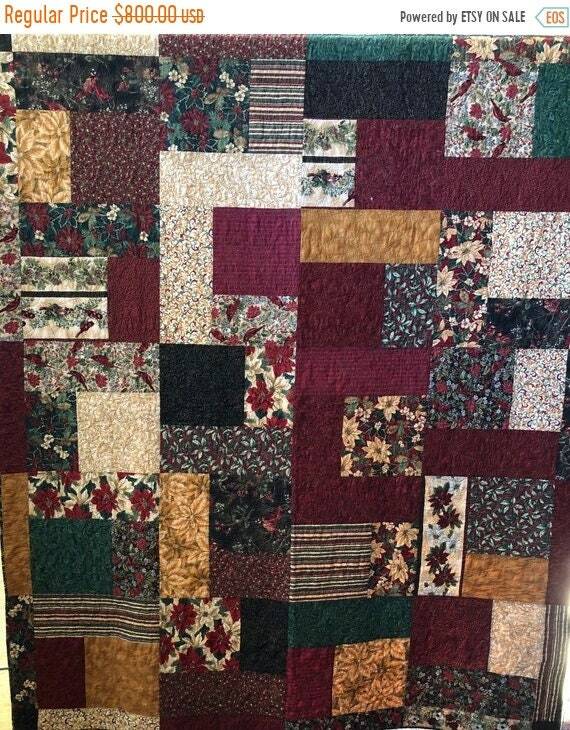 The quilt is large. It measure 70x86 inches. 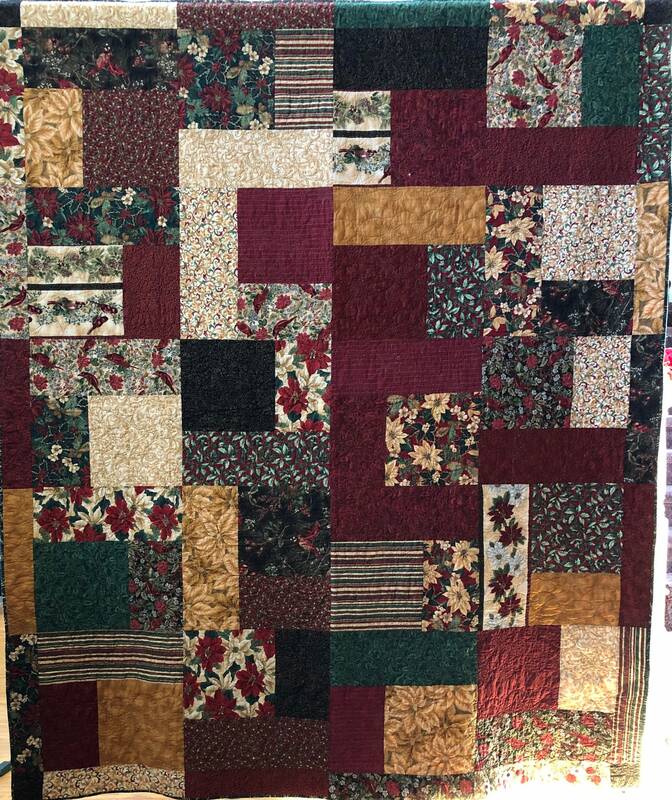 It is machine quilted with a Christmas ornament pattern. There is a hanging sleeve on the back in case you want to hang the quilt, and a label documents the quilt. I signed it on the front.